The Spear & Jackson CUTTINGSET8 features 2 pairs Vintage of Secateurs, one drop forged Bypass and one Anvil ideal for pruning roses, shrubs and all live green wood. 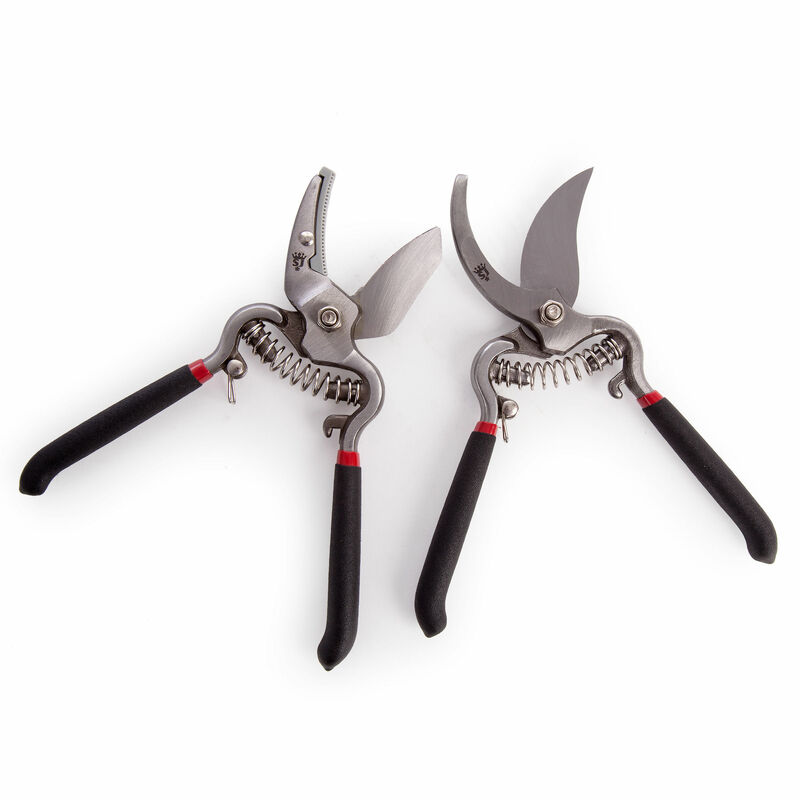 Bypass are best suited to use on living or green stems and delivers a cleaner cut than the anvil style secateurs which use a knife like cutting action onto a flat anvil. Anvil secateurs are ideal for use on thicker or dead wood.